Wind energy and wildlife in the immediate vicinity - that's no longer a contradiction in terms. Fortunately, the days when wind turbines were a death trap for many birds and bats are over, as animal protection systems become better and better. 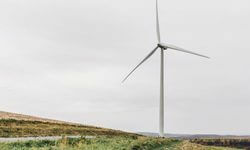 New Wind Wildlife Research Fund for the U.S.
More than two dozen wind industry companies in the U.S. have signed up to back a new wildlife research fund to come up with innovative solutions related to wind and wildlife.